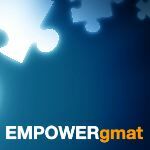 EMPOWERgmat is giving a way our groundbreaking GMAT prep course for free (a $349 value) to TWO lucky winners. No purchase necessary. Entering is easy: invite friends or share on social media to earn additional entries. You can also get DAILY and BONUS entries. Check out the giveaway page to learn more. 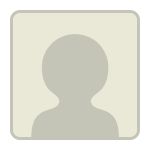 Earn a free BONUS entry right now! Post your GMAT Score Goal and first-choice Business School to this thread to receive 1 free entry into the Contest (limit one per person; these bonus entries will be tallied immediately prior to the final drawing). The contest starts today and ends April 30, 2019. Post your GMAT Score Goal and first-choice Business School to this thread to receive 1 free entry into the Contest (limit one per person; these bonus entries will be tallied immediately prior to the final drawing). The links DO take you to the main page of the EMPOWERgmat website and the entry form is a 'frame' that appears at the top of the page. Are you not seeing the frame?